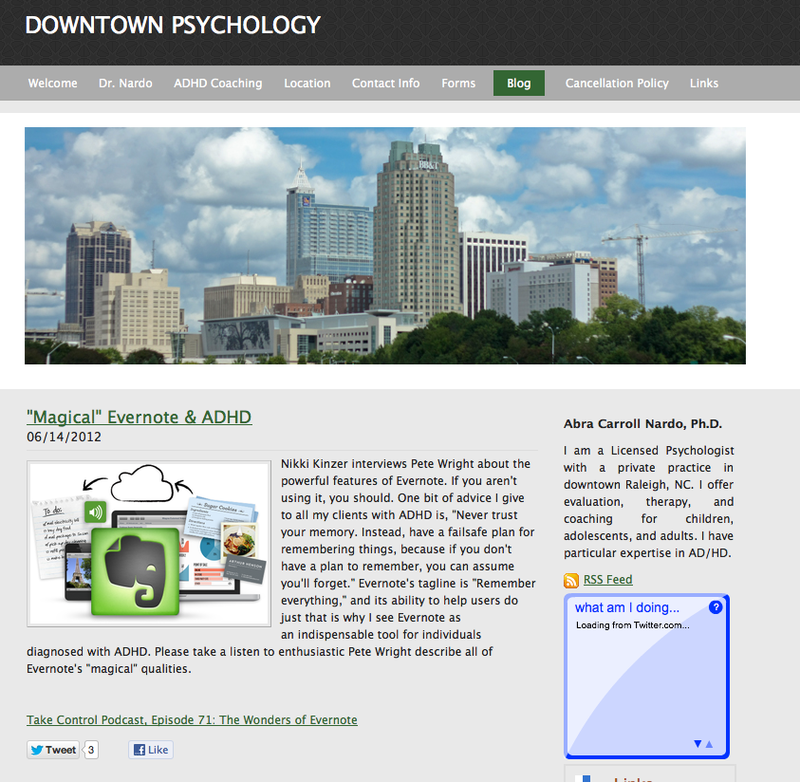 Down Town Psych... A little something for you Tech-Ninjas! I'm spending much needed time with my lovely wife and two sons. I'll get back to writing soon. In the meantime, here is a great blog which focuses on technology and folks with ADHD. Really great practical solutions. 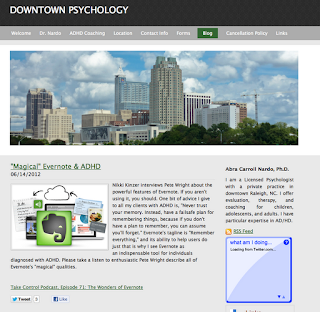 Check it out: Down Town Psychology. 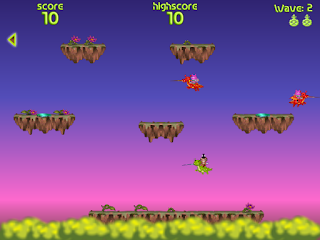 Working "in the box" with apps that are "out of the box"
Dooby is "on" the island. Nooby is "in" the water. One of my last posts concerned some of my favorite apps which were designed to nurture occupational performance. I mostly considered apps that were designed with input from therapists, or educators. They are theoretically "therapeutic" right out of the box. They are some terrific products, and it seems that more are coming everyday. Ooga is on the "Left" of Nooby. Sometimes though, the skills you want to work on aren't supported in the "therapy apps". In this case, you have to get out of the box and get creative. I love to see an app that wasn't designed for therapy or education, and a therapist (or educator/parent) is able to apply their clinical (critical) reasoning and utilize the app in a way that elicits a therapeutic response. This can occur in just the same way a therapist might take a game like Don't Break the Ice, and capitalize on the inherent therapeutic value, even though, the game is just designed to be fun! This is high level NINJUTSU people! Nooby is "below" the bad-guys. One such example is Pocket God. The opportunity for play is endless! First there is the obvious fine motor/finger isolation required to manipulate the characters. This is true for most apps. I have found therapy using Pocket God with students to act out a scenario. We can then discuss concepts of spatial and temporal concepts such as first-than, top-bottom, left-right, and in front-behind. 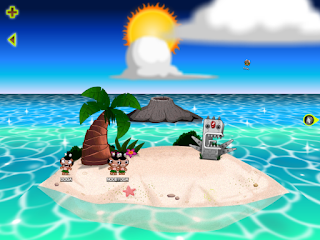 I have also used Pocket God, taking screen-shots of specific activities, and then imported those pictures into Comic Life, where students can practice writing out a story line. Check out this post about using Comic Life in this capacity. Another mainstream app we've been using is Facetime. 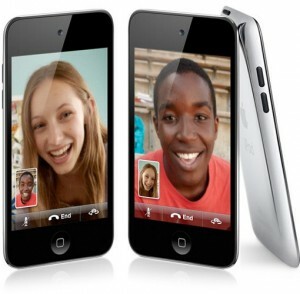 Like Skype, but tailored for the iDevices, Facetime makes video communication simple. This has been a great tool to have our students with Autism, or Traumatic Brain Injury work on social skills with a "pen-pal" from a neighboring school. We have the student write out a script of topics they wish to discuss, questions they wish to ask, and also practice listening and asking "follow-up" questions to be good conversationalists. So, these are just two ways we've stepped out of the box. But like all good therapy, we addressed pre-established needs. We made certain we were targeting the student's goals, and than we thought about interventions to target those goals. I'd love to hear from other folks who are finding the therapy in "non-therapuetic" apps! Scribble Press: Mad Libs with super powers! Remember Mad Libs from when you were a kid? They are still around, and they can be fun, and even therapeutic with applied clinical reasoning. 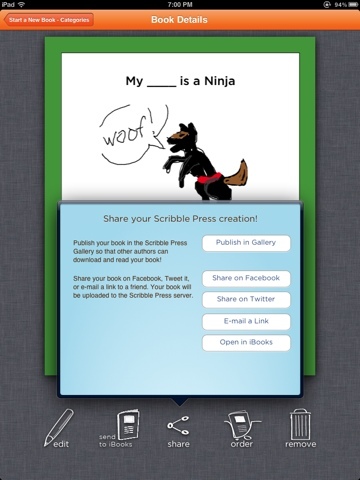 A modern take on Mad Libs is an app called Scribble Press. My colleague Ashley wrote a grant recently which was approved, to supply each of our elementary and middle schools with an iPad and the app. We are very excited to implement this program. In the meantime, other staff have been using Scribble Press with good results. Scribble Press received the Parent's Choice Award, Apple Staff Favorite, top 20 Educational App for iPad, Winner, Readers Choice Award 2011 Apps for Homeschooling. It should also be pointed out that Scribble Press sells for the remarkable price of "FREE"! We like that! It is only for the iPad. Scribble Press allows the writer to pick from 50 story templates . The more adventurous can work without a template using the "Blank Book". Once your choose your category, you than can choose a specific topic. 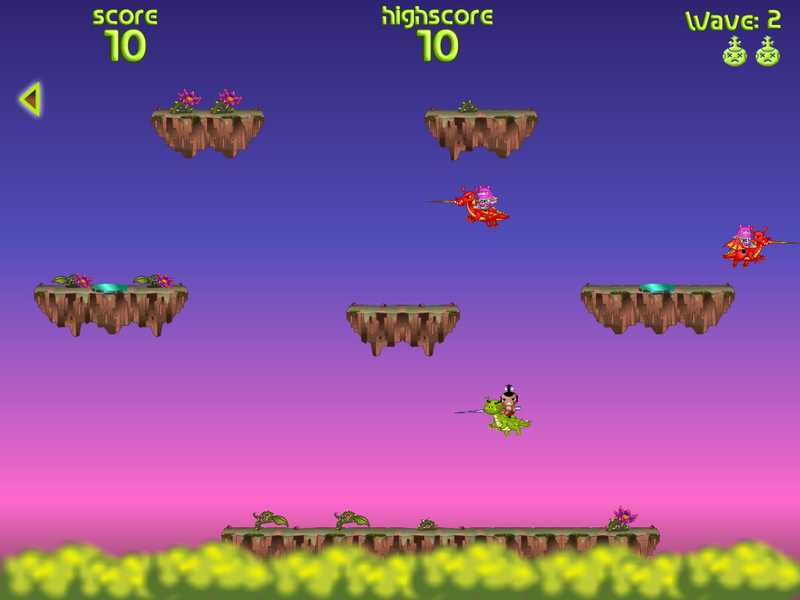 For example: "My _______ is a Ninja". Obviously a favorite of mine! Much like Mad Libs, with Scribble Press, the writer is presented with pre-written sentences, with blanks every few words to be filled in at the author's discretion. The original Mad Libs would ask you to provide an adjective, noun, preposition, etc and then randomly insert them into the text. With Scribble Press the author is not prompted with a grammatical cue, however, they are privy to what the sentences are about. Armed with this knowledge, author can be as concrete, or as loose as they wish, humorous, or silly. Text input is via the built in iPad keyboard. However, this is where I like to make a departure and build in some Occupational Therapy. If we are working on printing skills, I want the student to handwrite their text first on loose leaf paper with the appropriate lined paper. In this way, we can work on sizing, letter formation, spacing between and within words, and letter orientation. I also like to use a real keyboard synced with the iPad via bluetooth. This allows the student to get a better keyboard experience, and practice their keyboarding skills if appropriate. 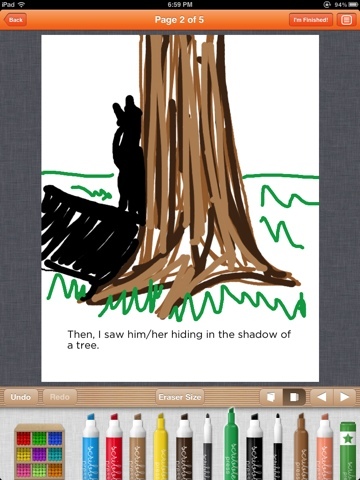 With Scribble Press, there is also an option to draw. Granted the drawing aspect of the app is not it's strong point, being unable to do much fine work. None-the-less, for basic representational drawing, it works. 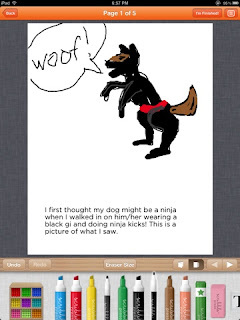 Built into the app, the author can draw with a very wide variety of colors, pen sizes, as well as stamps. So, while not a precision drawing app (which it never claimed to be) there is a bit of versatility. 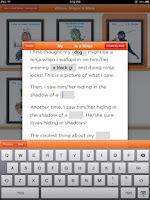 The author can also use photos from the iPad photo library. Once a story is written, the author has a multitude of ways in which he/she can share the work. At the bottom of the book collection, one can choose to edit, the work, share to iBooks on the iPad, share a variety of other ways - discussed down the page, order a hard copy to be mailed to you, and discard if appropriate (though I can't imagine doing so). If the author clicks on Share, they will be presented with a more choices: Publish in Gallery, Share on Facebook, Share on Twitter, Email a link, and again, open in iBooks. 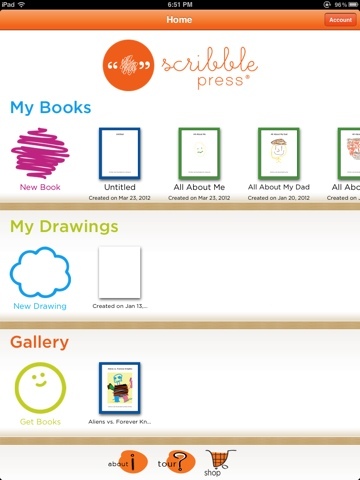 The Gallery is a web-based storage offered by Scribble Press at no cost. It is shared with other Scribble Press users and may be read all over the world. Kind'a cool, but be aware that this is what this means! The others should be self-explanetory. Before the sharing actually occurs, Scribble Press asks the user to verify their age, and that there is no identifying information in the story to be shared. Some of our staff use it with students with Autism to create Social Stories. And, remember how the stories can be share in the Scribble Press Gallery? Well, you can access those for your readers here. Scribble Press has divided their vast library into the "Most Downloaded", and then age specific groupings. They also have a "Featured" section that changes out periodically. 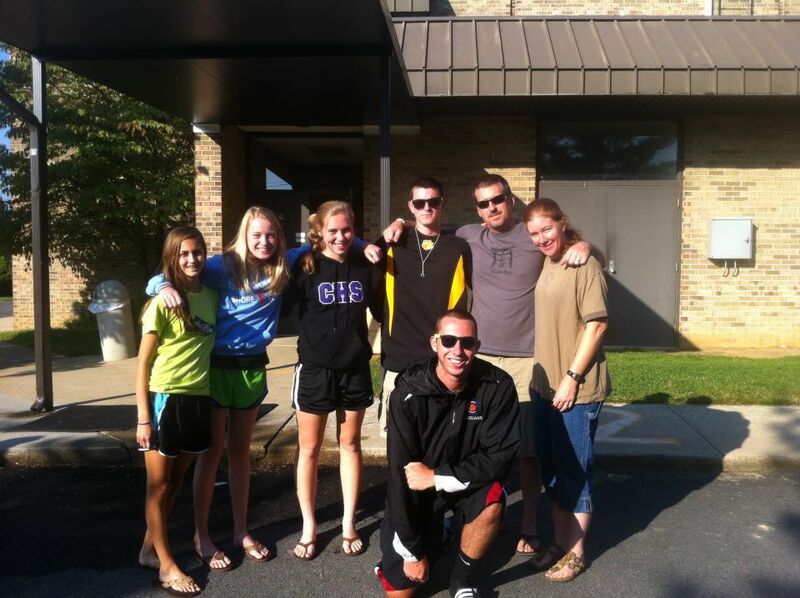 A Mission Trip: but who for? About six months ago my 15 year old son (Jack) came to me and said he'd like to attend a local Methodist Youth Group. He said a lot of his friends attended, and the Youth Minister was really cool. I am a Quaker. So is my wife. My kids have grown up in Quaker Meeting. However, I'm of the mind that if your teenager comes to you expressing interest in a religious youth group, you support them! You know, unless they are worshipping snakes or something. A few months later Jack mentioned that he wanted to go on a Mission Trip with the Youth Group to the Appalachian Service Project. My wife and I supported this idea 100%. I think teenagers greatly benefit from hard work, from service to others, Spiritual exploration, and traveling to see how other folks live. 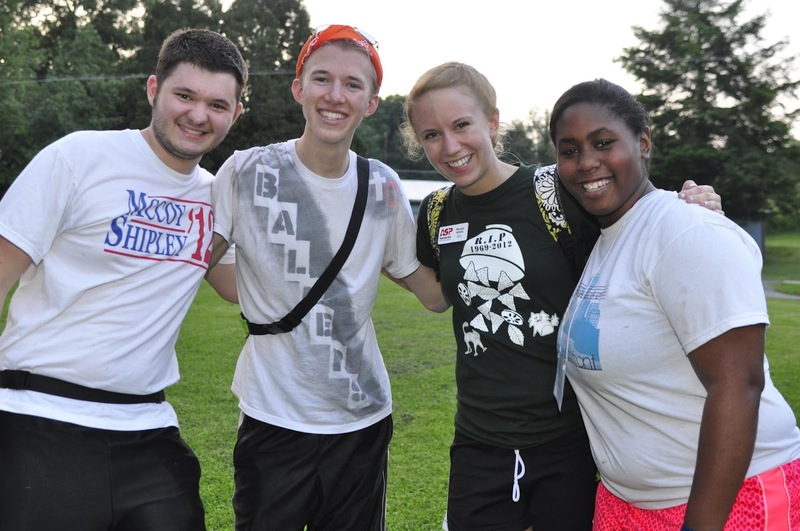 Then, back in April, the 17th to be exact (and I know only because it was 3 days prior to my ACL surgery) my son's Youth Minister, Rush, contacted me and said, "so your son suggested that you would be a great addition to our leaders on our Mission Trip". Well, hmmm...Again, when your adolescent asks you to participate in something of this nature I think the only answer can ever be a resounding "YES"! I did however have some trepidation about hard labour just 8 weeks post surgery. Rush and I discussed my likely limitations, and he assured me that he'd make certain I was not on a physically intense project. 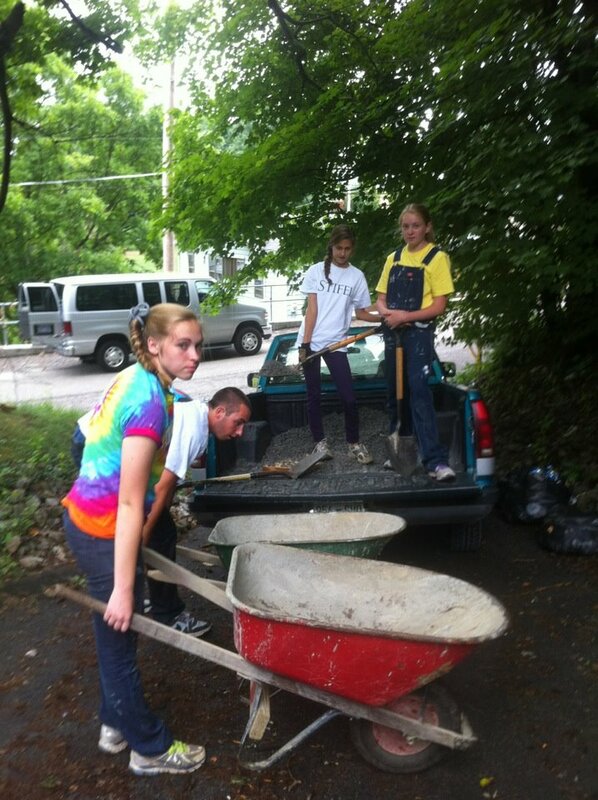 The Appalachia Service Project is a Christian ministry, open to all people, that inspires hope and service through volunteer home repair in Central Appalachia. To learn more about the Washington County center, go to http://tinyurl.com/ASPWashington. Two Sundays ago, Jack and I met with roughly 40 high-schoolers and accompanying adults to load into 5 vans and head to Washington County, VA. Three hours later we arrived at Rhea Elementary school where we would eat, sleep, organize for work days, and worship for the following week. Each crew was divided and had five high-schoolers, and two adult staff. Ours was named Timberwolf, and our projects were pre-selected by the ASP staff. Timberwolf, like the other teams had multiple assignments. Our assignments included removing a leaky sunlight in the top floor bedroom and installing a dormer window, installing a floating laminate floor into the living room, as well as adding a stone pad for the wood stove. In addition, we needed to install a tile floor to the bathroom, repair dangerous stairs at the front of the home, and dig a drainage ditch in the back-yard. Some of the tasks we were assigned had been started the prior week by another team, and some would be completed the week following ours. 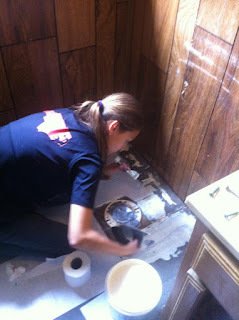 The changes we were working on will certainly improve the home, and thereby the homeowners lives. ASP seems to focus on improving Safety, Insulation, and Dryness, all of which are pretty crucial in a home! ASP encourages the teams to build relationships with the families when possible, and to share lunch if the families are interested. With Service work like this there is powerful mojo going on both for the recipients and for the givers. Without a doubt, the work that happens on the homes is crucial. It is a gift to the homeowners, and there are countless anecdotes of emotional appreciation that are very touching. Recipients are truly grateful. 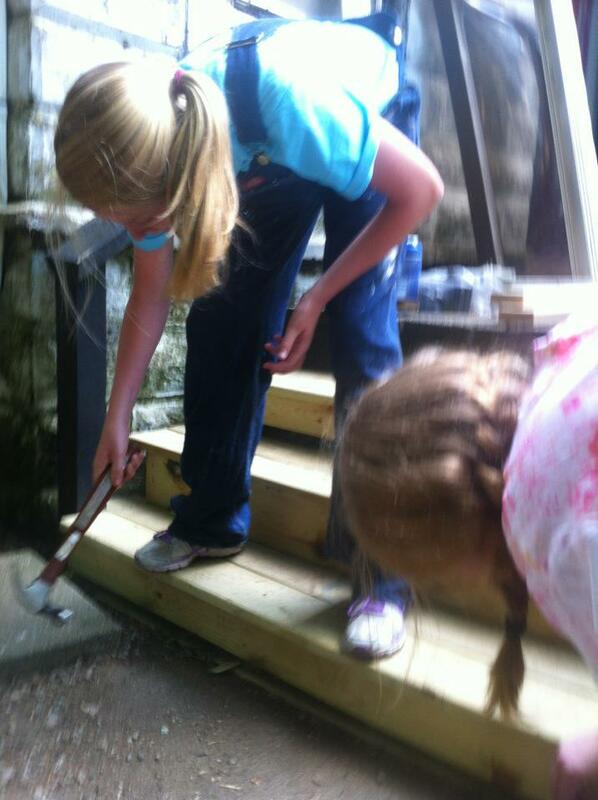 There is also the wonderful chance for our youth to experience giving Service. Sharing of their time, their skills, their humor, and their smiles. 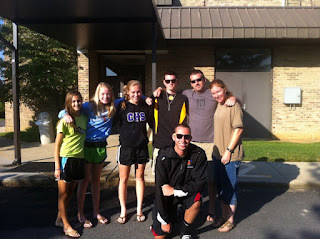 As stated above, the outward purpose of such a trip is to provide Service to the recipients. But there is far more going on under the surface. I have watched and participated in the growth of friendships among the youth and staff. I have also watched high school youth a bit anxious about using power tools become adept and gung-ho about the same tools. I have seen them use some of that math which they always said they'd never use! 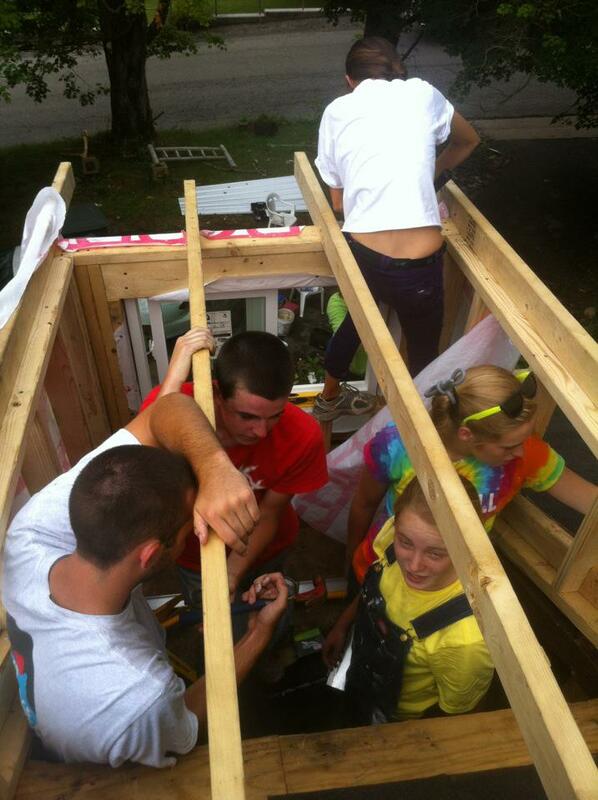 I witnessed teens exhausted and crabby dig deep to finish a project, and stay kind to one-another. Likely they all worked harder than their parents know they can (Jack included). I had the pleasure of working with an incredibly skilled co-leader, Karen Beaton. She is a warm and friendly woman. She has a degree in Engineering, she home schools her three children, and she and her husband built the house they live in. 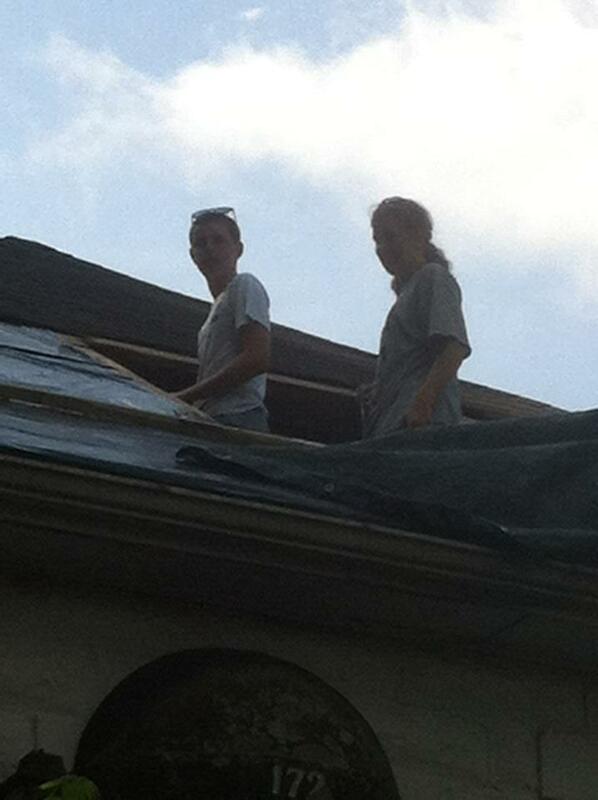 Her knowledge of construction far exceeds mine, and she was a great role model for the young women on our team. 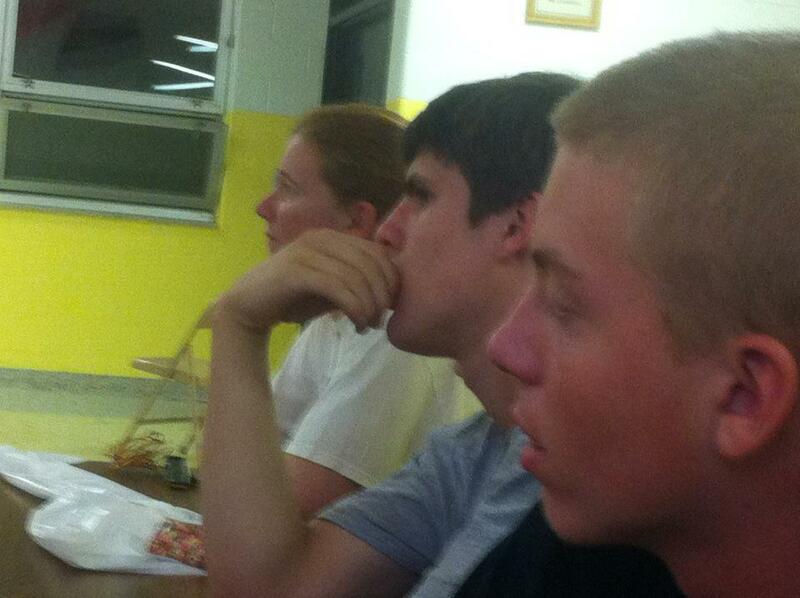 A typical day with ASP includes waking up at 7:00, and meeting for morning Devotionals, and announcements. This is followed by breakfast. Then the ASP staff (who were at Lowes or Berries hardware upon the doors opening) return with hardware and lumber for each group. Teams gather their gear and drive to their worksites. Work goes on all day, with a lunch break and a Devotional. At the end of the work day, we head back to "home" and turn in a new "supplies list". Showers are available. We eat dinner at 6:00, and meet as a collective group at 7:30 for EG (Evening Group) Worship, singing, and any announcements. We were lucky, in that we were sharing the Elementary school, meals, and chores with two other churches, and a family of four who came on their own. Big group = big fun! After EG's, most folks made a beeline for ice-cream back in town. Then Quite time by 10:30, Lights-out at 11:00. I had my evening meditation until 11:30, then went to sleep and started it all over the next day. At the end of the week, I left Washington County fairly exhausted, but very happy. My knee survived, a bit swollen and sore, but still intact. I felt spiritually fed, and gratitude to have shared this adventure with my son Jack. I'm pleased to have made so many new friends. In addition I had the unexpected pleasure of seeing what it might have been like to have had daughters, as I have two wonderful sons. What a treat! The purpose of this Mission trip is to "inspire hope and service through volunteer home repair", and yet despite the great works we did, I am confident that I got far more out of this trip than I gave, as did all of us. Jack and I are still talking excitedly about next year, and my wife plans on joining us!